» '98 GT Show grips? If anyone has an all original 1998 GT Show bare aluminum, I would like to see a close-up picture of the grips and bar ends if they are original. Thought I read somewhere the Show had special bar ends on it, but I can't find a good picture anywhere. If not, I'm interested in what grips it came with. Some places say black grips with little GT logos all over them, some sellers list the camshaft grips as correct. Would just like to get as close as I can to original. Re: '98 GT Show grips? I'm not a specialist on the Shows, but I don't think anyone would fault you if you ran these. This is of course a bad picture I'm sure you've looked at a million times, but perhaps someone can say what bar ends they are. 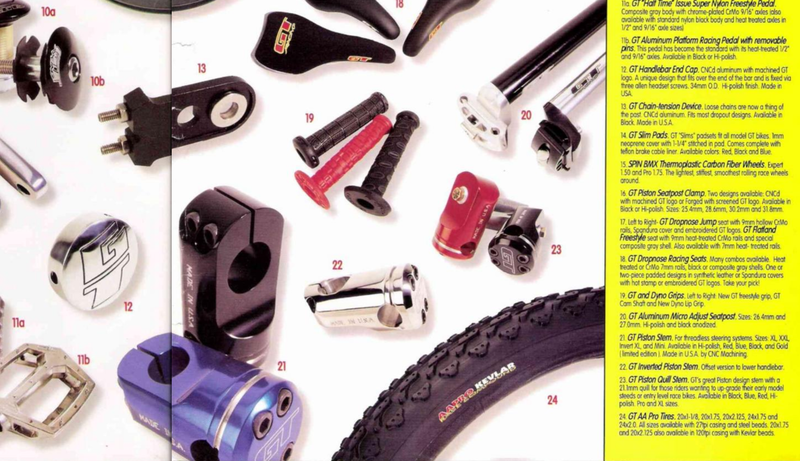 In the catalog for 1998, they look like the same bar ends / grips as on the GT Tour, so maybe another to search for. 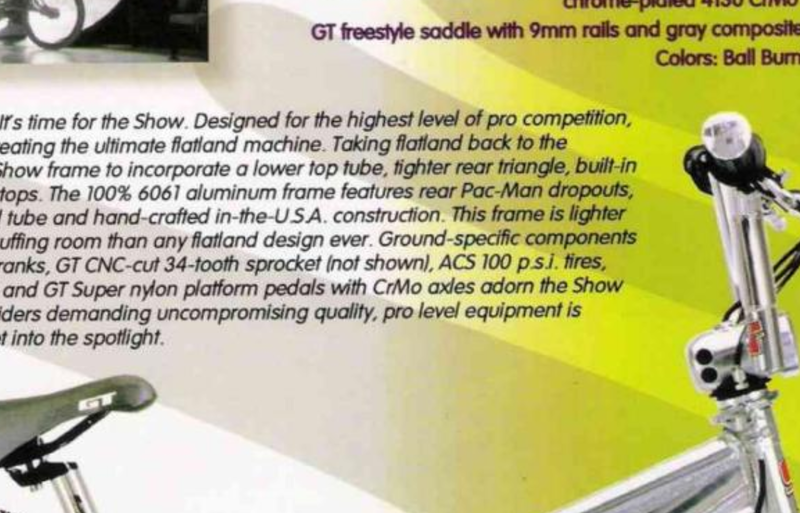 Not sure if the #12 bar end would be a match, the Show stock photo is not the clearest to say if it is stamped GT. And I'm guessing one of these grips it is in #19, perhaps the GT Freestyle grip. Does not seem to be the camshaft grip, as the one in the photo does not appear to spiral around, but perhaps I'm not seeing it right, it is a bad photo after all. My Mach One came with the camshaft grip if I recall. 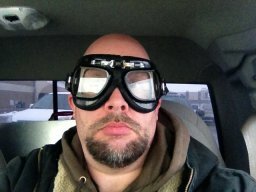 I found a picture from a friend that was selling one a couple years ago. His was mostly original I think, but it had Odyssey grips on it. It clearly has the bar ends that are number 12 in that picture, so that's probably what it came with. Th grips I thought were right are not open-ended though, so the grip itself is still a mystery to me. Those ends caps are called GT bar tabs, I’ve had a NOS set in the past.. I have an all original show, but it’s in storage. The grips look like the top set next to the 19 in that image above. Here's a pair for sale like #12 in the pic.